The Nokia 3310 is a favorite for many people from the early 2000’s. Therefore the classic has been remade in 2017 with new and improved features, but, the durability and battery life resemble the older model. This blog will give you an overview of the release, looking at features and the specifications. Available in Warm Red (Glossy), Dark Blue (Matte), Yellow (Glossy) and Grey (Matte). It is slimmer and lighter than the original, therefore, the buttons have been adjusted to fit in with the new design. It is ideal for any trip, comfortably fitting in your pocket taking minimal space. A reliable and nearly indestructible handheld that is ideal as a source of a second phone. 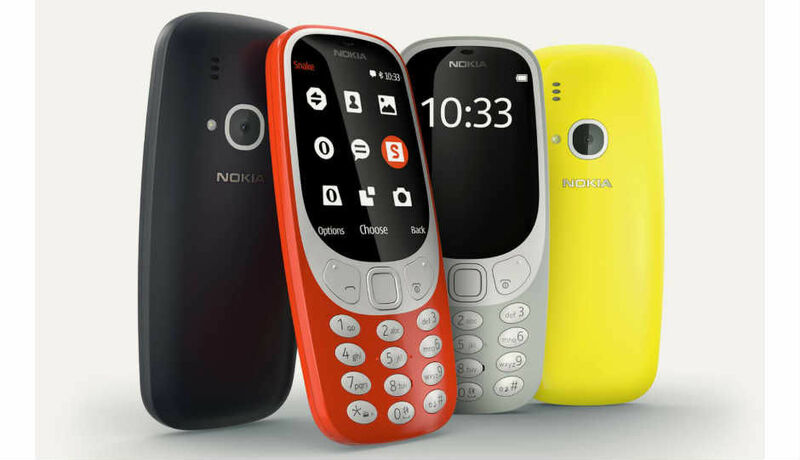 Nostalgic look of the old 3310 featuring the classic ‘Snake’ game to feel like the previous model. 2-megapixel camera with flash, 2.5g data. 2.40-inch display with a resolution of 240 pixels by 320 pixels. 20-24 hours of talk time in one battery life as well as 31 days if left on standby, no need to bring a charger wherever you go. Dimensions: 4.45 x 1.89 x 0.89 in weighing 133g. Internal storage of up to 32 GB (with micro SD) and internal memory of 16 MB. Operating system Nokia Series 30+, therefore, the response time is quicker on the newer model. Currently, the Nokia 3310 is carrying a price of £49.99, a lot less than the original price of £129. Once this is available on IT-Supplier, customers will be notified on our social media pages. Furthermore, to keep updated with our latest offers you can find our social media links down below. For other blogs, you can visit the Home Page and navigate to other ones.